A view of the Detroit riverfront. 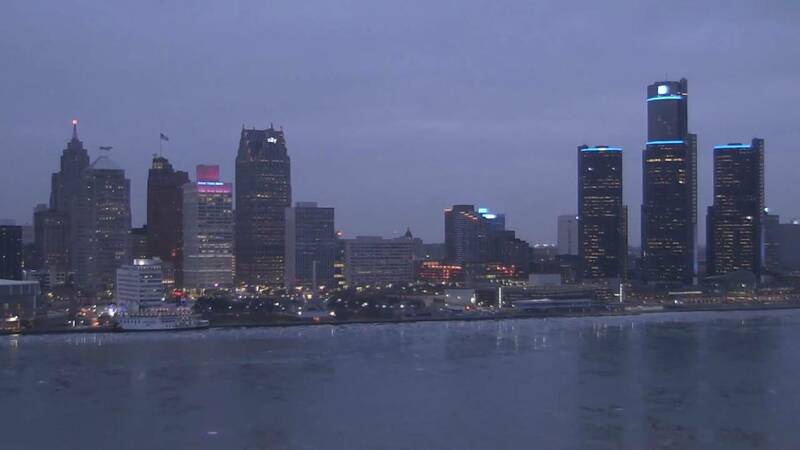 DETROIT - Here is the ClickOnDetroit Morning Report for Jan. 17, 2019. Michigan State University is poised to name a new interim president Thursday after the former governor who was brought in to help it recover from the Larry Nassar sexual abuse scandal resigned under pressure, amid backlash over his comments about some of the ex-sports doctor’s victims. Watch the meeting live at 8 a.m. on ClickOnDetroit. A Bloomfield man spent more than two decades battling fatigue and the constant threat of illness. Now, he has a new lease on life thanks to the kindness of strangers. The Lions hired Darrell Bevell on Wednesday to replace Jim Bob Cooter. Bevell was most recently the offensive coordinator for the Seattle Seahawks from 2011 to 2017. Prior to joining the Seahawks, he was Minnesota’s offensive coordinator for five seasons and a quarterbacks coach for Green Bay. The Lions hired Bevell as their new offensive coordinator in a move Detroit hopes will help the team rebound after a disappointing year. Get ready for one of the most epic moon shows you'll ever see. The super blood moon or super wolf blood moon will rise Sunday night in glorious fashion. Overnight from Sunday, Jan. 20, 2019, into Monday, Jan. 21, millions of people in North and South America will have the best view of a total lunar eclipse.